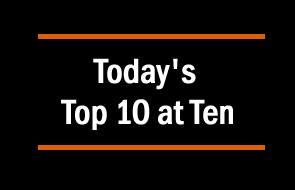 Today's Top 10 is a guest post from Chris Smith the General Manager of CMC Markets NZ. 1) George Soros pens a note: Brexit and the Future of Europe The 85-year old hedge fund titan and the man who broke the Bank of England back in 1992 with huge profits, has shared his strong views on EU disintegration post-Brexit vote. Before the Brexit vote, George Soros warned of a similar meltdown, predicting a Brexit victory would send the pound down by 15-20%. Soros most recently noted in media his firm had been negative on equity markets, including European banks and long gold assets. The world we live in with negative interest rates in many major world economies has turned economic history on its head and doesn’t look to be changing in the near term as central banks continue to add stimulus to keep rates low. This week (post-Brexit), we had $8.73 Trillion of securities with yields below zero globally up a further $380 billion post Friday’s vote. Statistics New Zealand released May Trade data which showed a bigger than expected trade surplus in May as increased Chinese demand for logs and kiwifruit exports rose. The attention will move to our trade with UK and the European countries with big moves in the pound to 31-year lows since Brexit. The UK is our fifth largest export market behind Australia, China, the US and Japan taking 4.4% of our exports (goods and services combined). The rest of the EU represented 7.6% of exports in 2016. Goods exports rose $220 million (5.1 percent) to $4.6 billion. Logs, wood, and wood articles led the rise in exports, up $110 million (42 percent). Goods imports rose $229 million (5.7 percent) to $4.2 billion. Consumption goods led the rise in imports, up $152 million (16 percent). The trade surplus was $358 million (7.8 percent of exports). The oil market has had a strong rebound from the March lows. The fall in US oil rigs operating has been dramatic and exactly what OPEC countries wanted to see as they kept production levels high despite weaker revenues. What hasn’t occurred in the US is a major fall in domestic oil production with the US still producing over 8.5 million barrels a day currently, which has come down from the record highs of 9.6 million in April 2015. But producers have been more resilient than expected in the face of weak oil prices and high debt levels. Quartz notes a standoff may be over for now. The Saudis went to war in June 2014 after a sudden, 4-million-barrel-a-day surge in US shale oil production. The surge put a fright into the Saudis, who saw that the OPEC oil cartel was losing its four-decade-long influence over global oil prices. As a result, they decided to sweat out US drillers by flooding the market and forcing down oil prices. When Russia did the same thing, oil prices plunged below $27 a barrel by March 2015, down from an average over $100 a barrel from 2011 through 2014. In trading today, Brent, the internationally traded benchmark, was as high as $50.90 a barrel. Will the incumbent Liberal leader Malcolm Turnbull (ex Goldman Sachs MD and Rhodes Scholar), retain being the 29th Prime Minster of Australia or Labour Leader of the opposition Bill Shorten surprise? The polls have the Liberal Coalition ahead into the weekend. Australia has far higher turnout at elections than New Zealand Elections with voting compulsory for residents. China’s debt level is growing faster than its economic growth and big name investors including Kyle Bass and Stanley Druckenmiller have been issuing their concerns more recently as the country’s debt to GDP ratio now stands at a record 247%. Pimco insight piece looks at China’s rise to the world stage and a more positive viewpoint. Unlike China’s relatively smooth integration into the world economy since the 1970s, China’s recent integration into the global financial system has been a major source of market volatility. Although there are legitimate concerns, including China’s economic slowdown, there are also positive considerations; for example, China could well become a major provider of liquidity to the world. China is making progress in communicating its policies more clearly, which could go a long way toward reducing uncertainty and restorin​g calm in global markets. Uber now operates in 68 countries including New Zealand and is worth over $60 billion at last valuation and continues to have no issues raising capital, after a further $3.5b cash investment from Saudi Arabia’s sovereign wealth fund of all places. Uber took the risk of entering China and now has a 30% market share but can it sustain losing $1 billion a year over there competing with Didi Chuxing? Name recognition is no longer a problem. China is now Uber’s largest market, accounting for more than a third of its business in terms of weekly trips. It is Uber’s biggest bet, and also its toughest market: the company loses more money here than anywhere in the world. Last year, losses in China came to more than $1bn, and they are set to be at least as high this year, as Uber fights for market share against its powerful Chinese rival, Didi Chuxing. US-based Vanguard really is an incredible story of passive index tracking and low fees. The fees charged in the fund management industry in particular warrant constant attention vs performance. A recent Treasury report noted Kiwisaver fees are approximately 0.87% per year and haven’t changed much since 2007. Vanguard by comparison has the lowest fees globally of any mutual fund charging just 0.16% annually on its main S&P500 Index Fund. Vanguard now manages over $3.5 trillion on behalf of some 20m investors. Every working day its coffers swell by another billion dollars or so. One dollar in every five invested in mutual or exchange-traded funds (ETFs) in America now goes to Vanguard, as does one in every two invested in passive, index-tracking funds, according to Morningstar, a data provider. Vanguard’s investors own around 5% of every public company in America and about 1% in nearly every public company abroad. During the first quarter of 2016, household debt rose to around 160% of disposable income in Canada, this means it puts their debt service level at the same level as the recent RBNZ report on New Zealand households. Canada's finance minister last week announced a working group of officials to recommend policy changes on their housing market. Research firm Capital Economics recently advised in a new report that puts the blame for rising real estate squarely on Canadians — their debt, and their banks. "House prices have been boosted by domestic credit growth, fuelled by relaxed lending standards." The speech is 50 minutes long.This is unfiltered source material. Trump's presidency, which is looking more and more likely (IMO), is going to have profound implications for World Trade. You can hear about it right from the horses mouth! Also, Trump is a great entertainer, so make yourselves a cup of coffee or tea and enjoy. Watch history unfold before your very eyes. Clinton is offering nothing new to the American voters that they haven't heard before. Day after day she repeats the same old tired rhetoric of yesteryear apart from announcing the appointment of Slick Willie as her Secretary of Dry cleaning. Slick Willie was in power when they lowered the qualification standards for getting mortgages thereby allowing Freddie and Fannie to loan money to people who had know chance of paying it back. As a Senator she voted against raising the standards. You could say that the GFC was in some part due to Slick Willie and his wifes stupidity. The EU is now a woman scorned and she's going to wage an economic war on the UK to frighten any other countries from leaving. In the beginning government was controlled by the wealthy land owners. Later, after the start of the Industrial Revolution, government was controlled by the wealthy industrialists. As a result of the Industrial revolution more people became educated and Universities began to grow. By the late 1950's or early sixties University students became empowered and started to change societies. Protest marches, Civil rights and Feminist movements sprung up. Universities became the hotbed of political change. By the late 1970's these University students had graduated and taken over politics and the bureaucracy. We had now moved into a new age "The Intellectual Age"
With the rise of the Intellectuals we saw massive rises in bureaucracy. The rise of Trade groups, Trading partners and trade agreements. The rise of spying and the likes of the NSA and the Five Eyes. Are they not a symptom of a greater unfolding financial dislocation? Thank the Investment bankers and what they did in 2000s to bring on the GFC for the mess the World continues to be in...and will be in for the foreseeable future. TINA and all that. Worse than Global Warming in the short/long term perhaps because Nature at least can repair itself given time, but this mess is not going away. I hate to break it to you Mr Smith but the USA oil production has already declined from 9.6Mb / day one year ago and to 8.6Mb / day (and production is falling like a rock). For example, production declined by 150,000 barrels / day alone in the last month! I don't know about you but I'd call that a pretty big fall in production over a pretty short time! Unfortunately there's a lot of obfuscation around oil production, not to mention the creation of the 'Saudi America' myth within the MSM. You really should consider amending your post to reflect reality as the claim of 'still producing over 9mb /day' is demonstrably false as per official reporting. If you're interested you can look for yourself. Production is midway down page and labeled "Domestic production" (look next door to this and you can see production one year ago too). Also, the story that Saudi Arabia 'flooded the market' is BS too. They have barely increased oil production and have more-or-less kept output stable, the shale drillers flooded the market (high on cheap debt) setting up their own demise. The only thing the Saudi's did was not cut production in response to the price crash, and why should they? The cost to produce their oil is far less than the expensive shale oil so shale is the weakest link in that environment. All Saudi has done is serve as a scapegoat for US MSM to cover up the stupid debt-fueled shale drilling boom that went on for the last few years. From the EIA latest energy outlook: "Perhaps the most dramatic finding is the anticipation of energy production outstripping consumption between 2025 and 2030, making the United States a net energy exporter for the first time since the 1950s." Not bad for a country that produces 20% of the globes industrial output and was importing 30% of its energy in 2005. Not great if you are an energy exporter like Saudi. I think there will always be an appetite for Saudi crude while they are still capable of exporting. Unfortunately they haven't been able to significantly increase production over the last 10 years and the amount they're exporting is declining. Couple that with the fact their last large field has come online (Manifa) and I guess any increase in Saudi exports will have to come from reducing their own internal oil consumption. With the amount of press releases coming from Saudi these days signifying the wish to diversify from oil, you can imagine that they realize that they're almost at the crunch time. Or perhaps they are seeing oil demand peaking, and the rise of cheap natural gas, and realise they need to sell at the best price they can rather than enter into a protracted price war. You're right. It has absolutely nothing to do with the depletion of the super-giant fields which were developed and have been producing since the 1950's. Onwards to nat gas then! and even with those super giant fields working flat out proven oil reserves have depleted to the point that they are now treble what they were in 1980. Onwards depletion! I guess we are resorting to tapping source rock because of how abundant oil is. Thanks for the lol. Today's rigs can pump an average of 27,000 barrels of crude per day, according to Capital Economics. Compare that with two years ago when the average rig produced just 6,000 barrels a day. horsepower, and an overall acute awareness of the need to cut costs. I agree, it's not. That said, reading CNN for oil news is like reading Stuff.co.nz for financial advice. US tight oil is estimated as having ultimately recoverable resources between 35Gb and up to 70Gb (highly optimistic). Total world ultimately recoverable resources (URR) is estimated at around 3800 Gb of oil (moderately optimistic scenario). At 35Gb US tight oil = 1% (URR @ 70Gb ~2% at best) of global reserves. What a game changer, long-live Saudi America! 1.7 trillion in negative earning bonds means that a lot of banks, etc don't consider the future very bright.